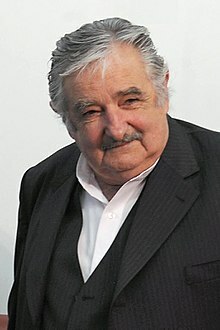 José Alberto "Pepe" Mujica Cordano (born 20 May 1935) wis the 40nt Preses o Uruguay. Wikimedia Commons haes media relatit tae José Mujica. This page wis last eeditit on 23 Mey 2018, at 18:54.